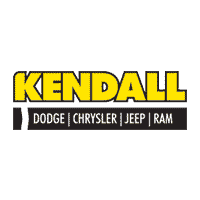 Kendall DCJR of Soldotna is proud to sell and service Chrysler vehicles in the Kenai Peninsula area. We have something for every taste and budget. Browse our inventory of new cars to check out the model you’ve been eyeing. If it’s an affordable used car, truck, or SUV you’re looking for, Kendall DCJR of Soldotna has a huge selection of Certified Pre-Owned cars too. In addition to car sales, our Chrysler Service Center will keep your Dodge, Chrysler, Jeep, or Ram running in top condition for years to come. Looking to upgrade the performance of your car, truck, or SUV? Your local Dodge dealership offers genuine Jeep parts and Dodge Ram truck accessories. Visit the Dodge Chrysler Jeep Ram Finance Department and our financial experts will help you secure a car loan, no matter your credit. Be sure to save time by filling out our online finance application for pre-approval for a Soldotna auto loan. For over 75 years, Kendall has been giving back hundreds of thousands of dollars to local charities and organizations that support families, children and education. Through our Kendall Cares program, we donate and invest in the communities we serve by supporting a variety of causes like youth development and health care for the under-served. We care about what you care about. At Kendall Auto Alaska, we’re proud of our place among Alaska’s vibrant business community. Kendall has been a part of this great state since 2008 when we join with the Nye Group. We feel fortunate to work and live in this great state and remain committed to our customers, to the communities we serve, and to our employees. Now, with dealerships in Anchorage, Fairbanks, Soldotna and Wasilla, representing Audi, Chrysler, Dodge, Ford, Lincoln, Honda, Jeep, Kia, Lexus, Mazda, Porsche, Ram, Scion, Subaru, Toyota and Volkswagen, we appreciate the opportunity to call Alaska home. Our mission at Kendall DCJR of Soldotna is simple: To deliver an unrivaled customer experience. Through our highly motivated, knowledgeable, and caring team of professionals, we pledge to listen and respect your needs. Doing the right thing means more than selling and servicing vehicles. Our progressive attitude means being exceptional stewards of the communities we operate, as well as the environment. It means going above and beyond every day for the people who mean so much to us – our customers.